Toyota’s new C-HR is a significant departure from the manufacturer’s traditionally conservative styling in what feels like an attempt to bring some flavor to a largely vanilla line-up. A familiar path already paved by the likes of Nissan’s JUKE, Kia’s Soul, Renault’s Captur and Honda’s HR-V. But is there more to the C-HR than just an edgy new design? Built on an all-new platform, the C-HR comes with improved credentials, including a peppy 1.2-litre turbo-petrol engine. Offered with a six-speed manual at entry level, our mid-spec AWD variant is matched exclusively to an automatic CVT. Under throttle, the CVT offers the familiar lethargic whine found in many similar output rivals, but without the laboured squeal often associated with CVTs. It’s no powerhouse, but is able to bring a little pace when needed – fit for both punting around town or freeway driving. Ride comfort is very good. 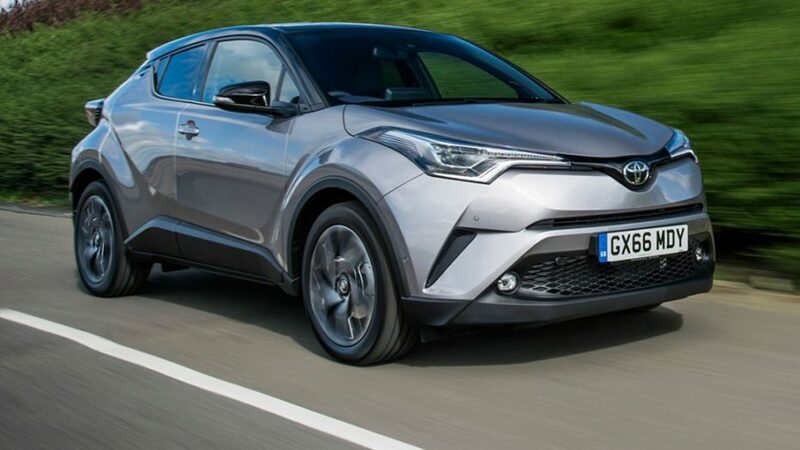 C-HR’s suspension is great, making light work of poor suburban road surfaces – all occupants will be happy in this regard. But C-HR’s infotainment interview is Circa 2010 and well short of leaders in the class And Apple CarPlay and Android Auto are not supported either. Safety technology lifts the game, with rear cross traffic alert, blind spot monitoring, front and rear parking sensors and reversing camera, autonomous emergency braking and adaptive cruise control as standard. The CH-R’s biggest attraction, it’s shape, is also its greatest downfall. And like many compact SUVs, it receives equal parts accolades and criticism. It’s small enough to be nimble, city-friendly and economical, with the addition of a slightly elevated line of sight – but it loses out on second row amenity, seating flexibility and load space. The Toyota’s trendy design also comes hinders outward visibility, with large rear pillars obscuring the view. The back seat is closeted for adults, worse for kids. And despite the gorgeous interior design, there’s no second row air vents, no centre armrest or seat back pockets, which shows poor planning overall. Ill-positioned rear door handles are hard for kids to reach and a very heavy tailgate make this trendy urbanite far from family friendly. The smallest category in Australia’s burgeoning SUV segment, compact SUVs have suffered long-standing criticism for taking a ‘form over function’ stand. The Toyota CH-R does nothing to change this template, but it’s not all doom and gloom. More edgy than a Mazda CX-3 but less quirky than a Nissan JUKE, the CH-R carves a sensible compromise where looks are concerned. It has some of the most advanced safety tech in the segment and is a nice place to spend time – if you’re the driver. Starting from $26,990 its price suggests that Toyota is resting on its laurels – those of good re-sale and reliability perhaps? It’s far from perfect but the C-HR is a fun package that shows the car maker is ready to change its image, and it’s as fit for purpose as any of its rivals … But in this case, a much-trusted badge may give Toyota’s newest arrival the upper hand.